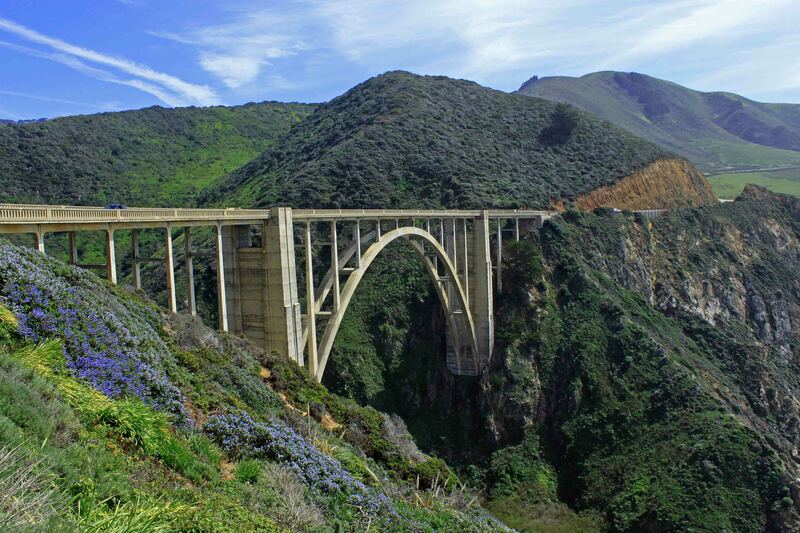 They call the central coast of California “the original road trip”. We call it the nature coast. 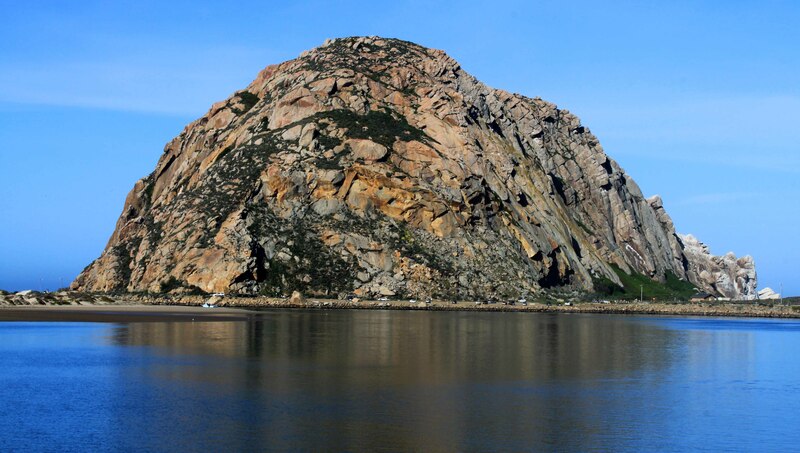 From Morro Bay to Monterey, this part of California offers spectacular rugged coast interspersed with beautiful beaches and mountains. We found state parks and National Forest camping for our RV from San Simeon to Big Sur. We started our exploration of the area in San Luis Obispo, a medium sized city with a big college population. Downtown is interesting with an original Spanish Mission, a river walk area, and farmers markets almost every day of the week. The big market is Thursday evening with a turnout of 5000 to 7000 people. A bit large for us. Pismo Beach has RV camping in county parks right next to the beach and its the only place we’ve seen vehicles allowed on the beach. 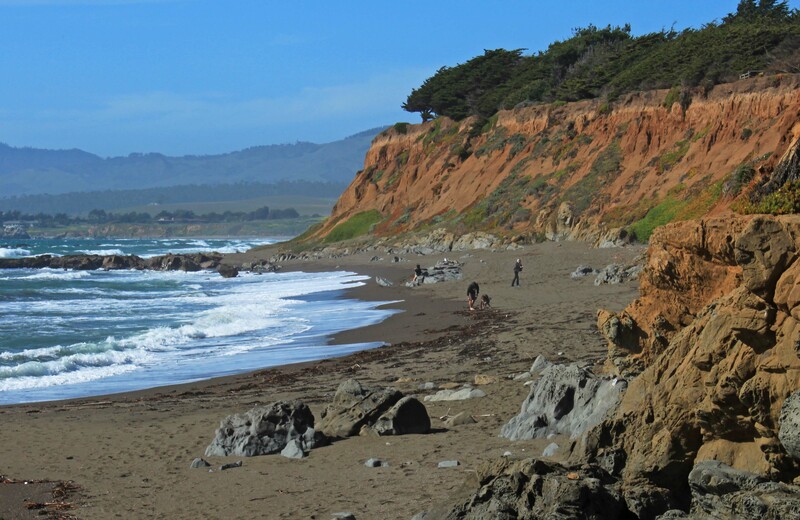 The beach has beautiful dunes and a grove of eucalyptus trees that host thousands of Monarch butterflies on the annual migration. There are 5 small towns in this area with beautiful homes along bluffs above the ocean. Morro Bay is a beautiful little beach town. The Rock is an icon of the area. 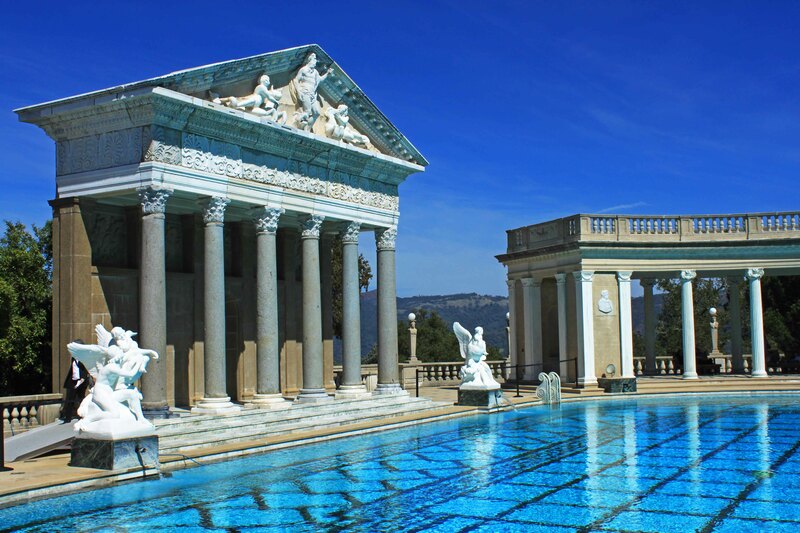 A major attraction is Hearst Castle. It may be the most awesome home in America. 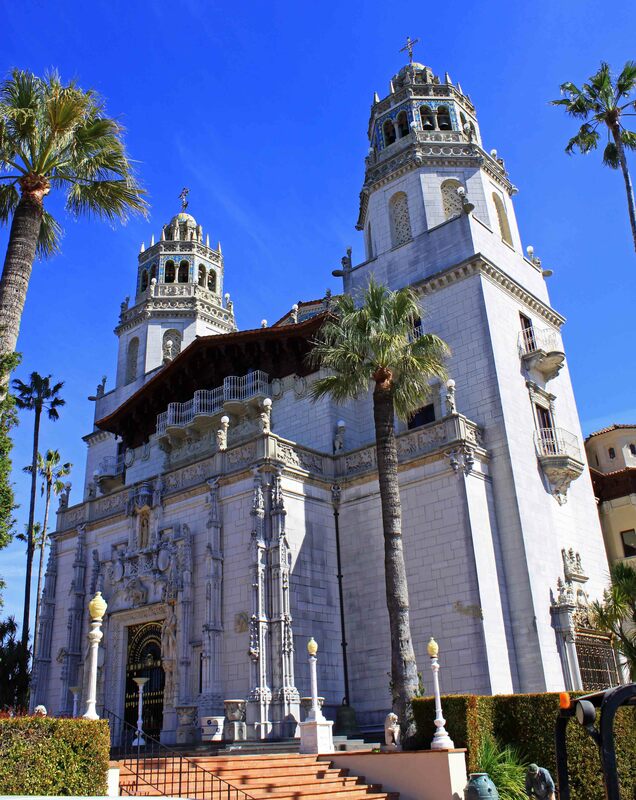 Started in 1926, it was never finished as Hearst was always renovating. Its more than an over-the-top monument to wealth. There are over 25000 works of art decorating the “ranch”. The State Park staff does a great job interpreting the site in a low key “as much as you like” style. 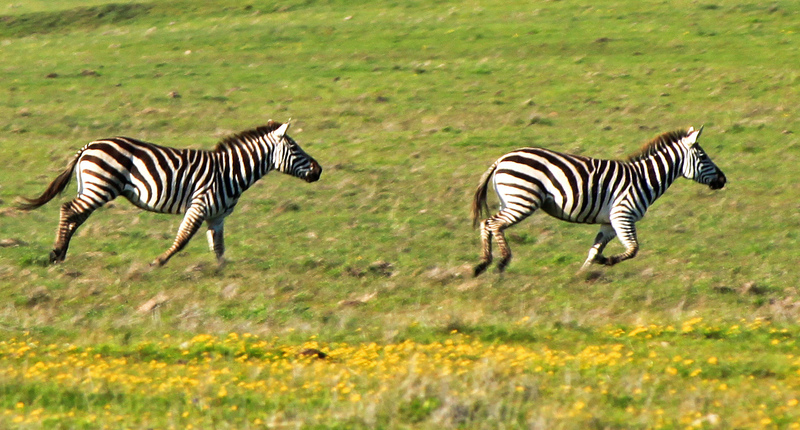 Hearst had a zoo on the property and some of the zebras escaped and can now be seen running wild. The nature of the area is the main attraction though. 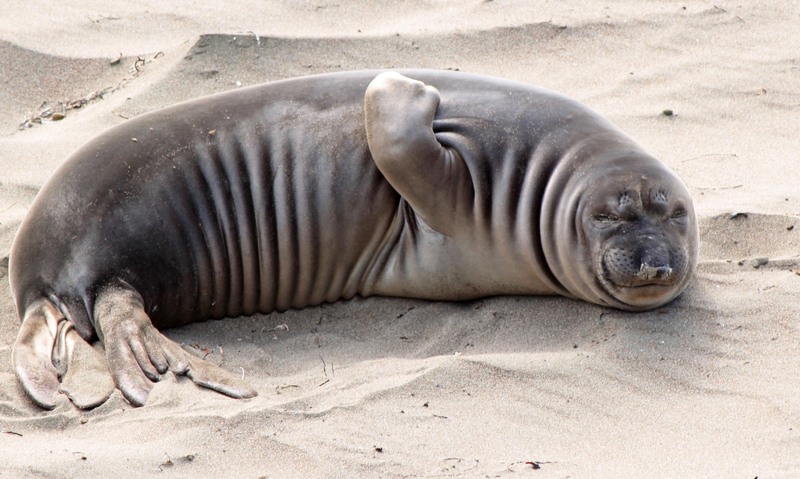 Elephant seals are thriving on at least 4 beaches and fascinating to watch. 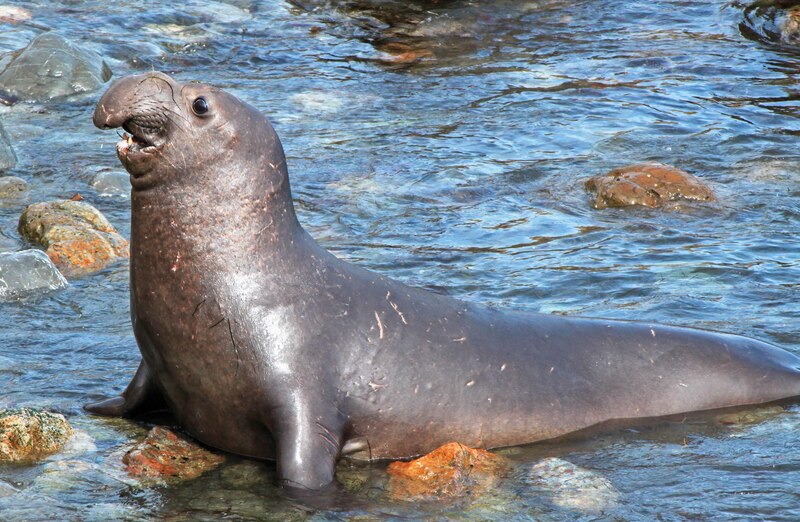 They had been hunted to near extinction for their blubber but now have healthy populations. We saw many pups who had been born this year. Newborns are 35 to 60 pounds but grow to 350 pounds in about a month. Then mom leaves and they have to learn to swim and hunt. Fascinating. Gray whales migrate north near the beach easily viewed from the cliffs. Orcas congregate just offshore. 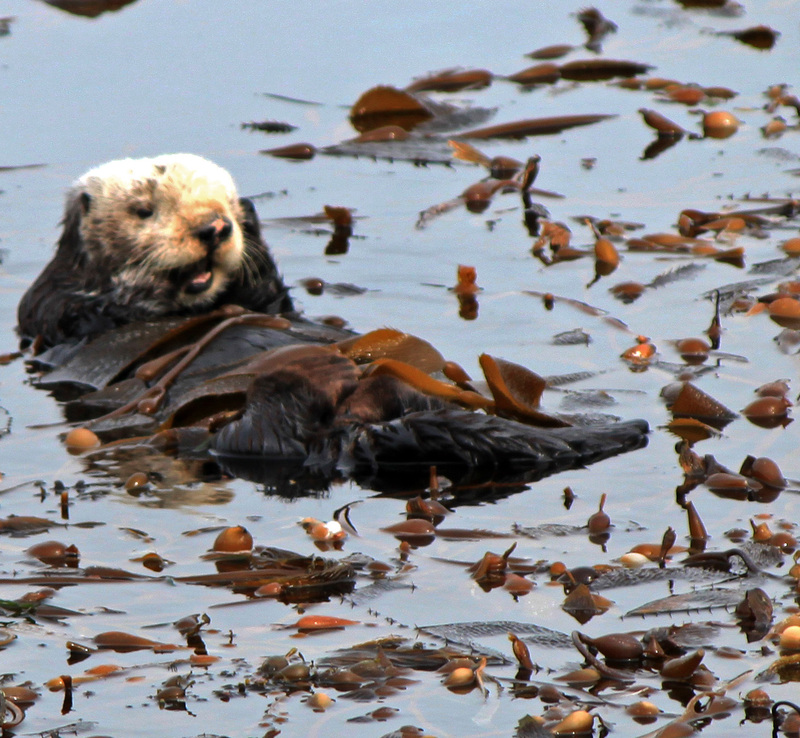 Sea otters have to be the most playful animals on earth. All these creatures are viewed from wild rugged craggy bluffs. 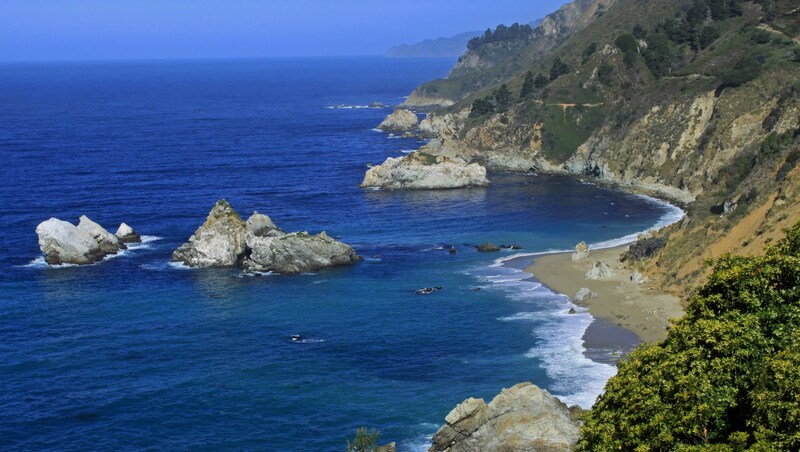 Big Sur offers spectacular views of the meeting of land and sea. It is still very wild country between the urban Bay Area and Greater LA. 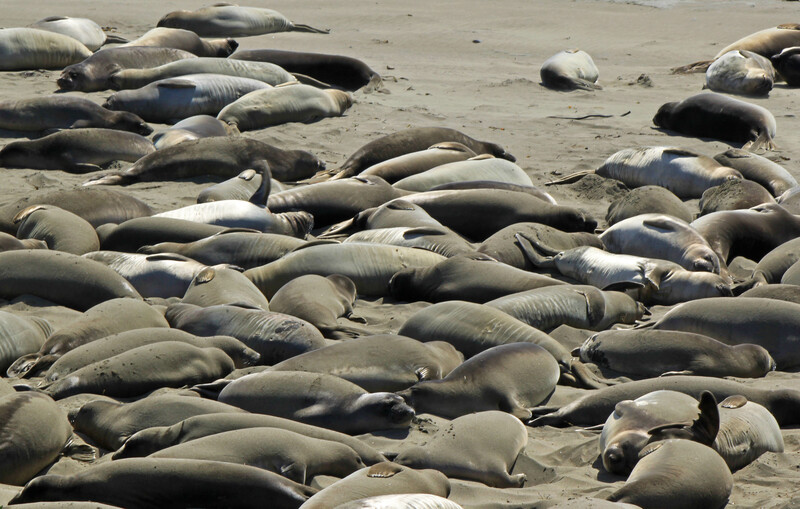 This entry was posted in California, RV and tagged Big Sur, California, Hearst Castle, marine mammals, San Simeon. Bookmark the permalink. You have just transported me there. Beautiful pictures with all the right detail.Nature looks abundantly thriving.